Welcome….Hope Parker! 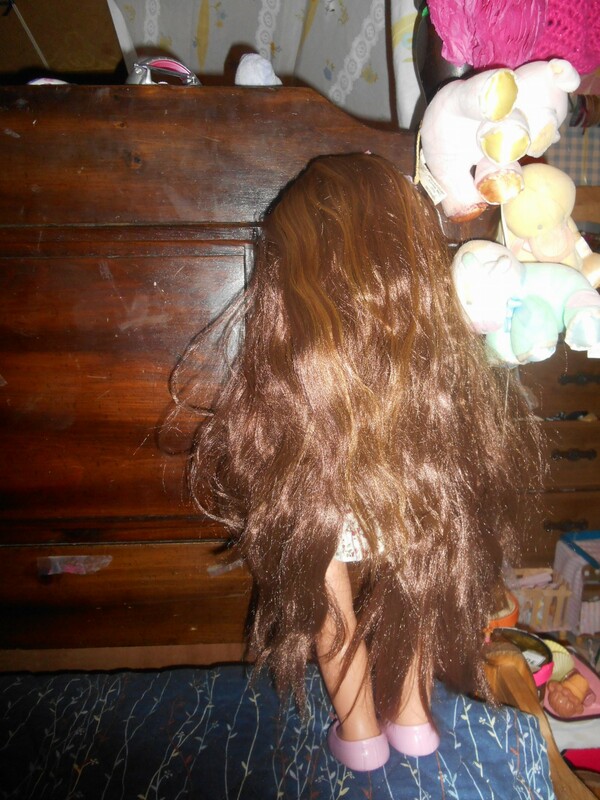 She is our generation hair play doll, Parker. I changed her name to Hope and brought her home. 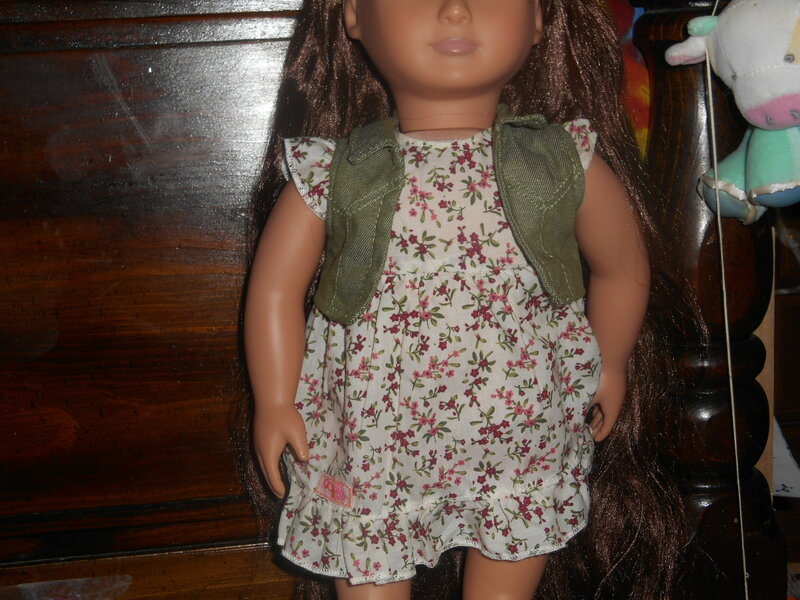 She wears a floral dress and an vest. The vest is removable from the dress. The dress has a high waist, puffy sleeves, and it does have an OG tag. 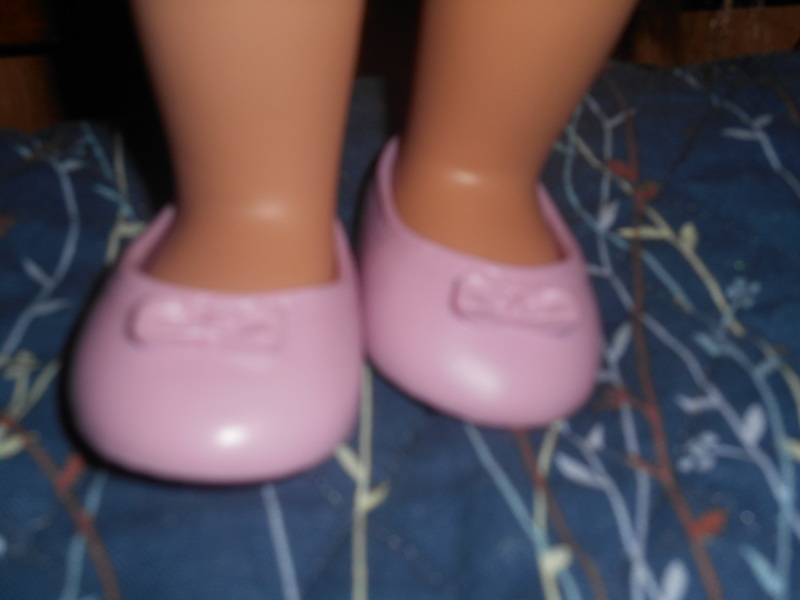 Her shoes are plastic but they are molded to look like ballet shoes. 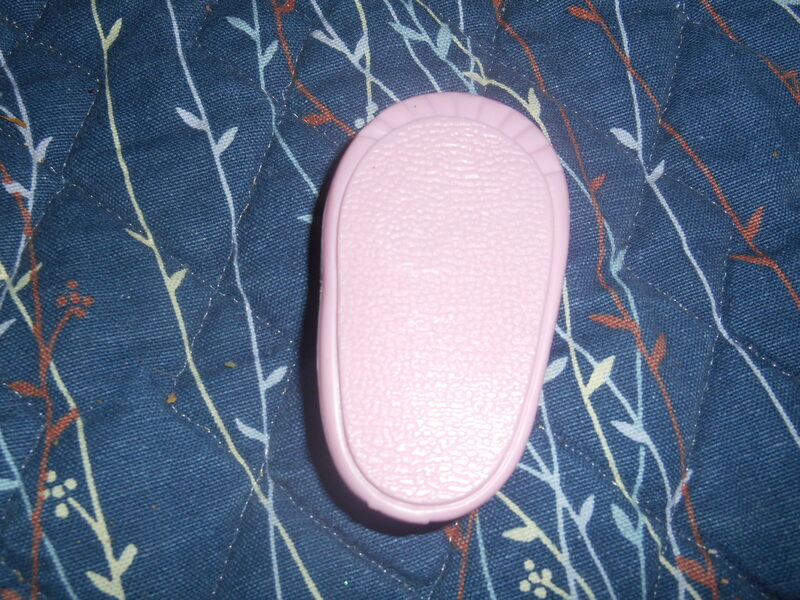 The bottom looks like a ballet slipper too. She has gray sleep eyes. 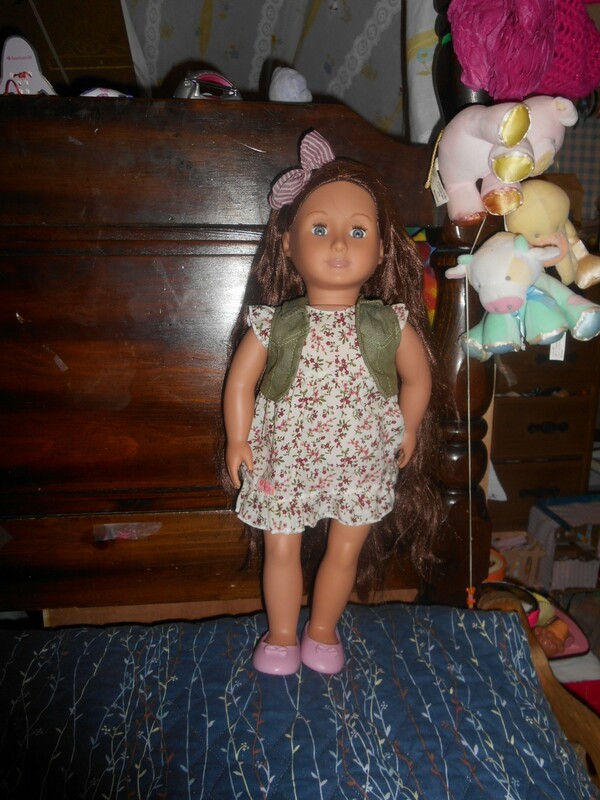 (My first 18 inch doll that doesn’t have blue eyes!) She wears a headband and has a faint smile. Now for the best part. Her hair! It comes to her ankles when down. 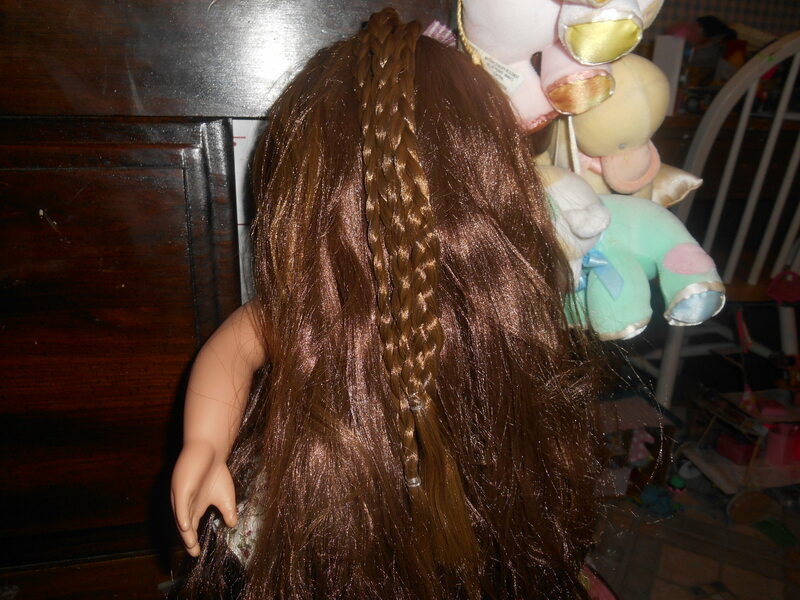 In her hair there are three braids that can grow or shrink. 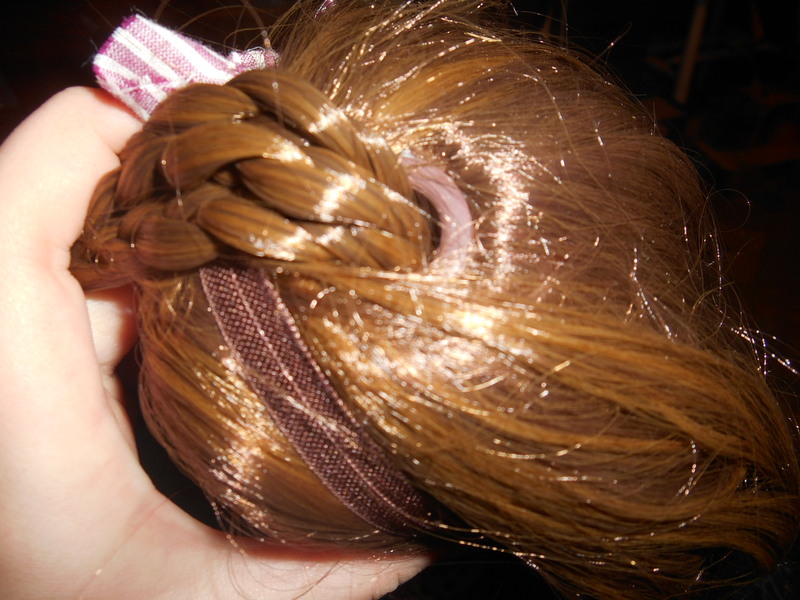 On her back is a button that you push to ‘grow’ the hair and wind to shrink it. It goes through a hole on her head. 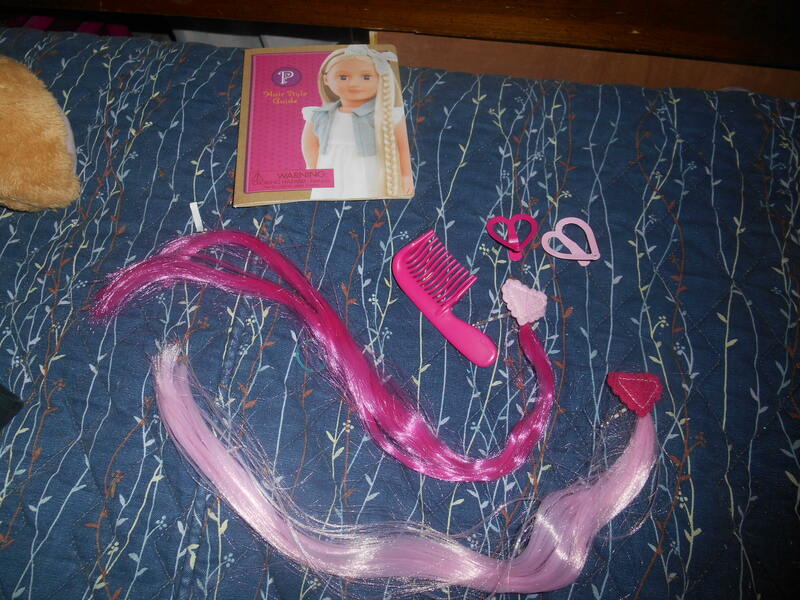 Since she is a hair play doll she came with some hair stuff, two hair extensions, two clips, a comb, and a hair style booklet. 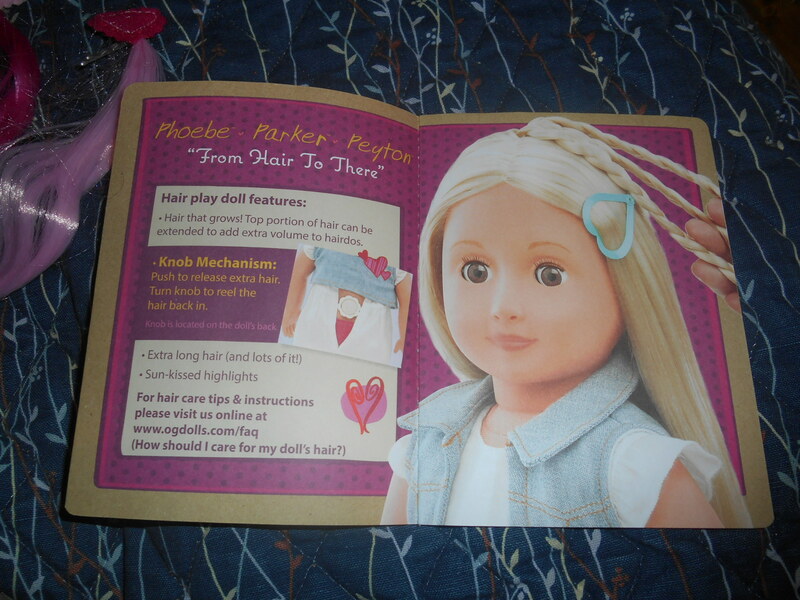 The book has information about the dolls. 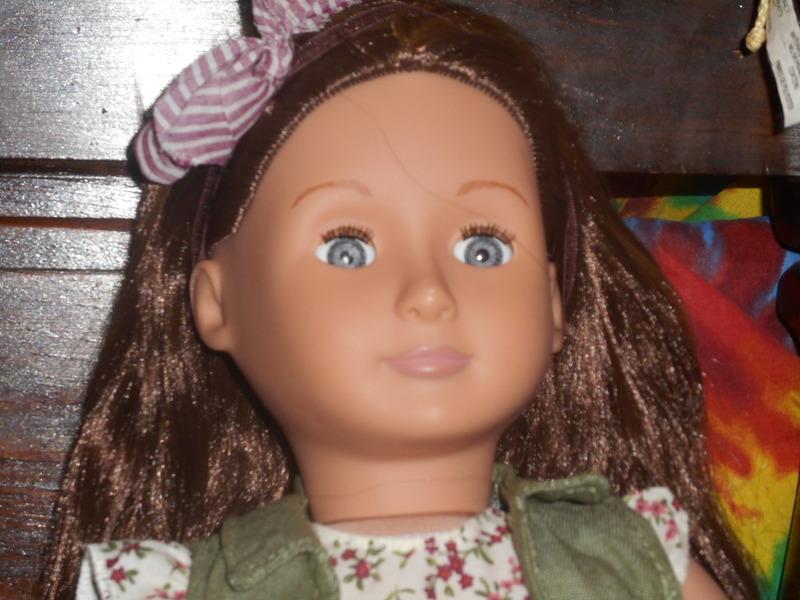 The reviews on this doll are really bad but I ignored them. Her hair is not that hard to mange if you care for it properly. I hope this review will help anyone who is thinking about getting this doll.